When the San José mine collapsed outside of Copiapó, Chile, in August 2010, it trapped thirty-three miners beneath thousands of feet of rock for a record-breaking sixty-nine days. The entire world watched what transpired above-ground during the grueling and protracted rescue, but the saga of the miners' experiences below the Earth's surface―and the lives that led them there―has never been heard until now. 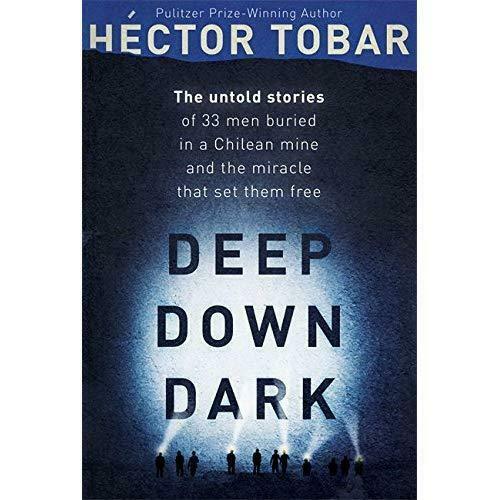 Pick up your copy of Deep Down Dark by Hector Tobar at Mannington Library and join the “Cover 2 Cover” book club on Thursday, February 21 at 1:30 p.m.